There’s no going back, Agent. 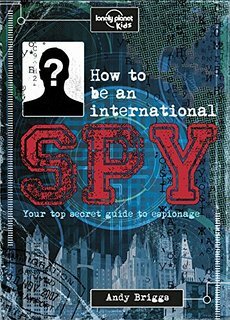 Once you enter this book, your training will begin as you join the secret world of spies. You’ll rise through the ranks from recruit to secret agent, learning a host of skills to put into covert operation immediately. Get the scoop on some of the biggest agencies in the world, discover the coolest gadgets out there, crack some fiendish codes and lots more. For aspiring spies aged 8 years and up. Great for on-the-road entertainment.